Homepage > 5750 Flights Cancelled by Storm Sandy Are you stranded in Lisbon? 5750 Flights Cancelled by Storm Sandy Are you stranded in Lisbon? 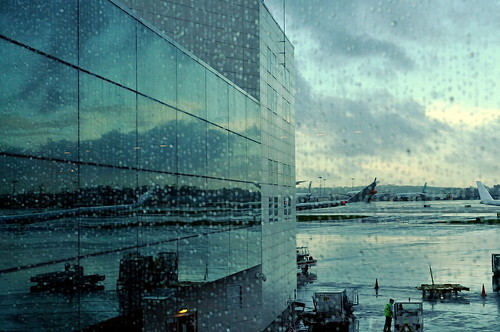 Super storm Sandy closes major US airports & flights are grounded world wide. Are you one of the 50,000 stranded passengers waiting out the storm across the world? Here is what to do if you can't get out of Lisbon Airport because of this Frankinstorm? United Arlines (+351) 214 159 102 www.united.com are allowing some customers to change their flight plans due to the storm. Regulation (EC) 261/2004 Eu Airlines must offer you meals, refreshments & hotel accommodation as appropriate while you wait for a rearranged flight. So it might be the time to get out of the concourse & check into a hotel room. The airport is very close to the city & is only minutes away by taxi or metro. So why be uncomfortable overnight in the airport!